Recently named the 'Best Festival' at the NME Awards, this year's Reading & Leeds Festivals are officially set to be better than ever! 2013 promises more - more stages, more bands and more entertainment, all coming together to form an incredible line-up with the biggest names in rock, indie, dance, alternative and hip-hop. Reading & Leeds guarantee exclusive performances, huge headliners and rising stars and are the only place to spend the August Bank Holiday weekend with friends this summer. The festival headliners for 2013 will be pop-punk pioneers Green Day playing Friday at Reading and Saturday at Leeds, global rap icon Eminem who takes to the stage on Saturday at Reading and Sunday at Leeds and 'Best British Band' NME Award winners Biffy Clyro closing the show on Sunday at Reading and Friday at Leeds. All three of the Main Stage headliners are UK festival exclusives; you won't find them at any other UK festival this year! System Of A Down and Deftones return to Reading & Leeds with UK festival exclusive performances, playing Friday at Reading and Saturday at Leeds. Nine Inch Nails are back for the first time since 2007 to perform a 2013 UK exclusive show on the Main Stage and Fall Out Boy return to the Festivals with a UK festival exclusive appearance, both bands playing Sunday at Reading and Friday at Leeds. Over on the NME/Radio 1 Stage will be, 'Mercury Music Prize' winners Alt-J and French outfit Phoenix, all taking to the top of the line-up for the stage and playing to thousands of revellers across the weekend. On the BBC Radio 1 Dance Stage, newly expanded from one day to three days for 2013, English electronic music producer Sub Focus Live, Magnetic Man and electronic dance music heavyweights Knife Party will all headline. 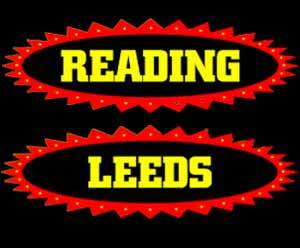 The BBC Radio 1Xtra Stage, one of the most exciting additions that Reading & Leeds have witnessed for a long time, will play host one to of the pioneers of grime Wiley and UK rapper Devlin as the first confirmed headliners for 2013. These names are just the beginning, there are many more yet to be announced across these stages, plus the line-ups for the Festival Republic Stage, Lock Up Stage, BBC Introducing Stage and the Alternative Stage. Green Day complete the Main Stage headliners at Reading & Leeds Festivals 2013, all of which are UK festival exclusive appearances. After a surprise Reading performance at 11am in 2012, which saw thousands of revellers heading to the NME/Radio 1 Stage and thousands more watching on screens in the arena, the band returns to play a full headline set at both sites. Green Day are integral to the identity of Reading & Leeds Festivals, with their performances among the greatest in the Festivals' history. With each new record and incarnation, they bring riot and rebellion to a new audience. In 2004, their triumphant headline set featured covers of 'Blitzkreig Bop', 'Ever Fallen In Love? ', and fittingly, 'We Are The Champions' and in past performances some lucky fans have even had the chance to get up on stage with the band! Their headline sets at the Festivals this year are sure to deliver even more unforgettable Reading & Leeds moments, don't miss out! Following a year that saw him play at the Olympics opening ceremony and sell-out Wembley Arena, Frank Turner returns to Reading & Leeds for the seventh consecutive year. The Festivals "hold a special place in his heart" and his set will be a triumphant showstopper as he plays tracks from his forthcoming album 'Tape Deck Heart' as well as playing his big hits. Already announced for the Main Stage for this day are: System Of A Down and Deftones, both UK festival exclusives, plus Bring Me The Horizon, with more names still to come! Taking to the NME/Radio 1 Stage stage will be the most talked about rapper in the world today, A$AP Rocky, playing the festival for the first time, plus Diplo's dancehall supergroup Major Lazer bringing the carnival spirit to Reading & Leeds. South London indie quartet Bastille join the NME/Radio 1 Stage with an armful of songs from their debut album 'Bad Blood', currently Number One in the album chart, including their recent Number Two single 'Pompeii'. They'll be joined by Birmingham's 'BBC Sounds of 2013 nominees, Peace, whose hotly anticipated debut album 'In Love' looks set to soundtrack the summer. 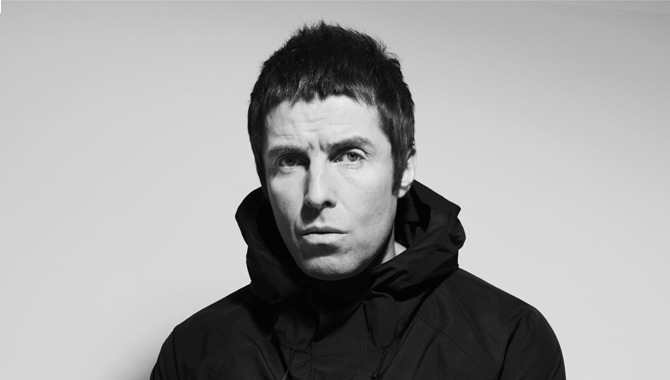 Their Stones Roses-inspired rock garnered them a 'Best New Band' nomination at the NME Awards and won them a big slot on the NME Awards tour. Another name just announced is explosive LA rock duo Deap Vally, who have toured with Muse and The Vaccines, enjoyed Radio 1 playlist support and were tipped by NME as one of the bands of 2013, they join what's set to be the best year for the Festivals yet. This year the BBC Radio 1 Dance Stage will be taking place over three days for the first time, already announced as the first headliner for this stage is Sub Focus Live. The all new BBC Radio 1Xtra Stage is set to bring the best of hip-hop and grime from the UK and farther afield. Headlining the stage on this day will be one of the pioneers of grime, Wiley; with many more names to come. Iconic rapper Eminem headlines the Main Stage in a UK festival exclusive appearance. Added to the line-up this day will be legends of UK drum and bass, Chase and Status, bringing a world-class live show to the Festivals. Chase and Status are credited with taking drum and bass from the club scene to the mainstream, with chart conquering songs like 'End Credits' and 'Let You Go'. Currently working on a new album, their jaw-dropping live show is sure to get the crowds moving ahead of Eminem. Joining Foals, winners of 'Best Track' at the NME Awards for 'Inhaler', on the expanding bill is White Lies. 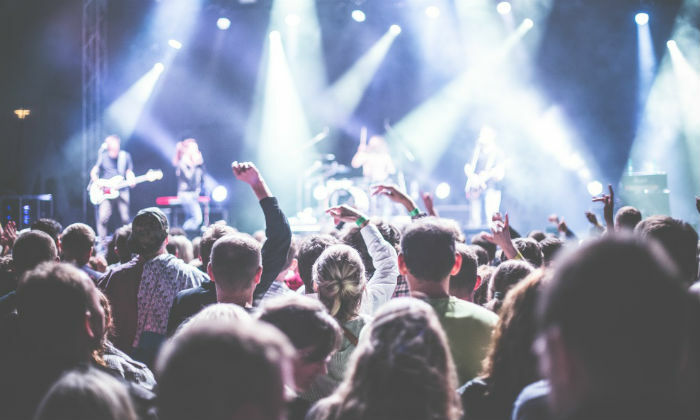 The British indie trio, whose dark demeanor has seen them win accolades from around the world, make their Main Stage debut in a UK festival exclusive performance at Reading & Leeds. The band are currently in the studio, but by the time the Festivals come around they'll have a new record, the follow up to 2011's astounding 'Ritual'. Godfathers of emo, Brand New return to the Festivals for the first time since 2009 with a UK festival exclusive performance. With a new album in the works, they're bound to premiere new songs as well as their anthem, 'Sic Transit Gloria... Glory Fades'. With Alt-J already announced as an NME/Radio 1 Stage headliner and Jake Bugg performing on the stage for the first time, other bands can now be announced. Tame Impala will make to their first visit to the Festivals since winning 'Album Of The Year' plaudits for 'Lonerism' from both Rolling Stone and NME and Imagine Dragons, the Las Vegas rock band who are so popular in the US they haven't stopped touring for over a year, join the bill. Also just confirmed is Johnny Marr who formed The Smiths in 1982 when he was just 18, going on to become one of the most important bands in the history of music, with Johnny Marr one of the greatest guitarists the UK has ever seen. Post The Smiths Marr has spent his time playing guitar in a succession of great acts including The Cribs who he performed with at Reading & Leeds before. His debut solo album 'The Messenger' has just been released to much critical acclaim. Also confirmed are 'Best New Band' NME Award winners Palma Violets who met and formed at Reading a few years ago and played the Festivals for the first time in 2012. This year marks a special return for the slapdash rockers who are currently riding high off their recent award success. One of the first artists to take dubstep into the live arena, Modestep's show combines live vocals, a full band and a ridiculous amount of bass. Prepare for an adrenaline fuelled party of epic proportions. 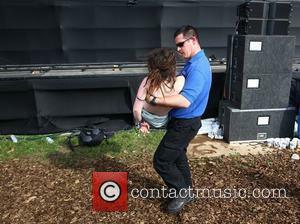 Taking to the BBC Radio 1 Dance Stage as headliners will be Magnetic Man. Made up of producers Skream, Benga and Artwork, they have been touring the world with extravagant live shows ever since their performance at Reading & Leeds in 2010. Skream has since said that those Reading & Leeds performances and the incredible crowd reaction were seminal for him in realising the potential for dubstep as a live genre. Joining Wiley as a fellow headliner on this new stage will be Devlin. Dagenham-based rapper Devlin returns to the Festivals with his sideways social commentary and formidable flow. Having just scored a Top 10 single with 'Rewind', he's leading the UK's next generation of rap stars. Biffy Clyro make their ascent this year to Main Stage headliners in a UK festival exclusive performance and deservedly so after being crowned 'Best British Band' at the recent NME Awards. Described by Spin as "the most vital artist in music" Trent Reznor is undoubtedly a heroic figure for any Reading & Leeds attendee. For the past few years, he has been more at home in a Hollywood recording studio than on a festival stage, providing the scores for huge Hollywood movies like 'The Social Network' and 'The Girl With The Dragon Tattoo'. Now, after a four year hiatus, he's returning to his first love: Nine Inch Nails. 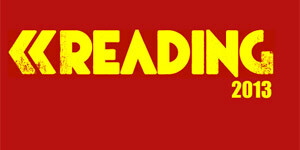 In a huge exclusive, they will play their only UK shows this year at the Reading & Leeds Festivals. The band have sold over 30 million records worldwide and are responsible for some of the most daring rock music ever recorded, be there to witness this legendary band. Fall Out Boy will also appear, making a welcome return to the Main Stage this day, with another UK festival exclusive for Reading & Leeds! Joining them on the stage will be one of the biggest success stories of the past year The Lumineers, an alternative Americana band from Denver, Colorado who have surpassed all expectation to become a global success with their eponymous debut album going Top 10 in the US, UK and Australia. Editors also join the line-up, bringing their cinematic rock to the Main Stage for a second time.These bands are just the start, with more names for the Main Stage yet to be announced! The final NME/Radio 1 Stage headliner is Phoenix,returning to the Festivals for the first time since 2010 to toast 'Bankrupt! ', their new album set for release in April this year. In the time since the French outfit last graced the Reading & Leeds stage, they've notched up a Grammy and over one million sales of their critically lauded 2009 album 'Wolfgang Amadeus Phoenix'. This year look ready to set fire to the worldwide festival circuit, including stepping in to the headline role on this stage for the first time. Other exciting names added to the NME/Radio 1 Stage are Harlem rapper Azealia Banks, who returns to the festival after playing to a packed out Dance Stage in 2012, to play songs from her long awaited album 'Broke With Expensive Taste'. Production duo Disclosure, currently riding high in the Top 10 with single 'White Noise' and working on their house and UK garage-influenced debut album, will also have the crowds in the NME/Radio 1 Stage singing along this summer. City and Colour, the moniker of singer-songwriter Dallas Green, is gearing up to release his fourth studio album this summer. With three JUNO Awards under his belt (the Canadian equivalent of the BRITs), City and Colour returns to the UK, following a sold out Royal Albert Hall performance and two sold out Roundhouse dates, to play Reading & Leeds for the first time in a UK festival exclusive appearance. LA sisters Haim have had a fantastic year, winning the BBC 'Sound of 2013' poll and touring with Florence + the Machine. Currently finishing off their debut album, they bring their astonishing guitar playing and filthy on stage banter to the Festivals for the first time. Major Lazer collaborator Alex Clare also joins the bill, since releasing his debut album in 2011 the British singer-songwriter has had a Top Five single with 'Too Close', as well as a BRIT Award nomination for 'Best British Single' with the same track. Electronic dance music heavyweights Knife Party, the Australian duo who have taken the world by storm, will headline the BBC Radio 1 Dance Stage. With two huge EP's under their belt, along with some incredible collaborations and remixes, this is the first time the Knife Party madness will be unleashed on Reading & Leeds Festivals, be sure not to miss out! Last year, Baauer was an underground DJ creating a few waves on Diplo's Mad Decent label. Now he's a global phenomenon, with everyone from the cast of Eastenders to The Simpsons doing the Harlem Shake. The Blackout have become one of the biggest rock bands in the UK, from supporting the likes of My Chemical Romance and Linkin Park to co-headlining the Kerrang! Tour. Off the back of releasing their fourth album 'Start The Party' this year, they play the Festivals for the fifth time. Hadouken!, once a nu-rave rap crew, have been re-born as a fully-fledged EDM monster. Louder, brasher, but just as much fun they guarantee to bring the party to Reading & Leeds this summer, after an amazing set to a packed crowd on the NME/Radio 1 Stage in 2012. Australian rapper Iggy Azalea has already toured with Rita Ora and released some astonishingly good mixtapes. Her debut album, 'The New Classic', is released this year and she'll be bringing some hip-hop swag to Reading & Leeds. Named after Juliette Lewis' character in 'Natural Born Killers', Cambridge five-piece Mallory Knox's debut album 'Signals' has already gone Top 40 this year. Reading & Leeds veterans, New Found Glory return to do what they do best, making everyone go wild, they bring a special show to Reading & Leeds playing out their well-loved album 'Sticks and Stones' in full. The Strypes come to Reading & Leeds with their quintessentially retro classic rock, despite the fact the band's eldest member is only 16, and they already count Noel Gallagher among their fans. B-Town scene leaders Swim Deep will bring their laid back doss-pop to the Festivals. Temples, the psychedelic four-piece inspired by the Byrds and Tame Impala, come to Reading & Leeds for the first time in 2013. In less than a year, Manchester band, The 1975, have gone from back room boozer to Shepherds Bush Empire, smashing the airwaves and stealing the hearts, eyes and ears of thousands of new fans every week. Hardworking boys destined for big things. Hailing from London, Theme Park recently released their self-titled debut album, full of catchy songs. Having featured as NME Radar's 'Band of The Week' and The Guardian's 'New Band of The Day', they are set for great things. Tomahawk, weirdo-rock supergroup featuring members of Faith No More, the Jesus Lizard, Battles and Mr Bungle will play the Festivals for the first time. Scottish rockers Twin Atlantic are bound to make the crowds dizzy with brash and ballsy hits like 'Free' and 'Make a Beast Of Myself' when they take to the stage this summer. 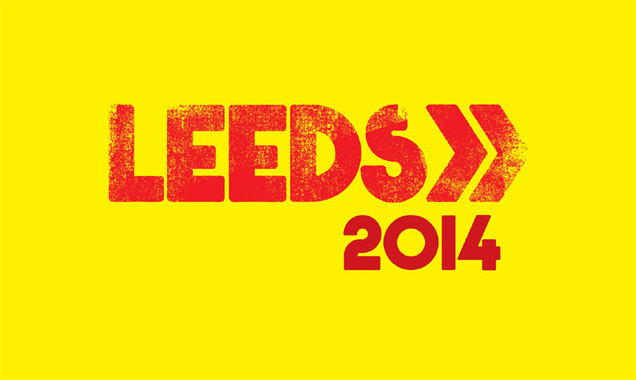 Also playing at the Festivals will be Sheffield rockers While She Sleeps, named Kerrang! 's 'Best British Newcomers', who will get the crowds going with songs from their album 'This is the Six'.